The success of the screening programs depends on the high number of participants and the rapid response time from the laboratories and healthcare structures. The SENTiFOB® system is an essential tool in reaching the social and diagnostic objectives of the prevention campaigns thanks to the combination of some very advantageous and useful features. User friendly FOB Gold® Tube for both patient and lab. Reliability of the quantitative immunological analysis method FOB Gold®. The high level of automation of the SENTiFOB® that allows for easy use and optimal throughput. A complete system from sampling to results, starting and finishing with the patient. It’s easy and practical for both the patient and the lab technician. As with all clinical chemistry analyzers, the SENTiFOB® system permits the automation of the FOB Gold® latex immunological method by overcoming all the difficulties in interpreting manual immuno-chromatographic and guaiac methods. Automatic rerun in real time of samples with critics results, monitoring of the reaction kinetics and visualization of the calibration curves together with the powerful quality control program allows for complete analytical control of the SENTiFOB® system. 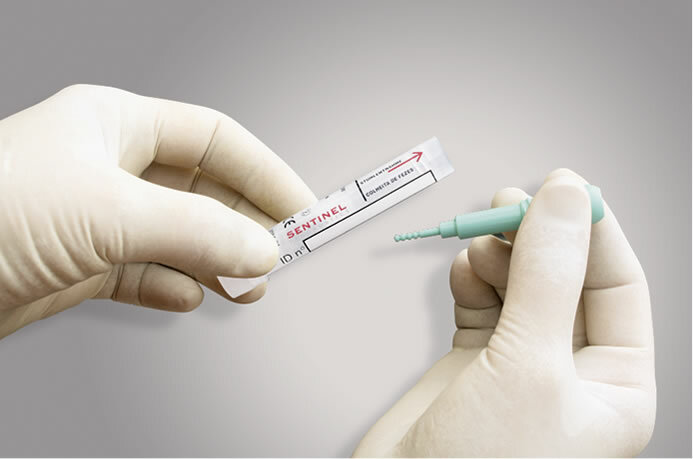 The sample collection device is a practical and hygienic tube which also allows for the standardization of the sampling. 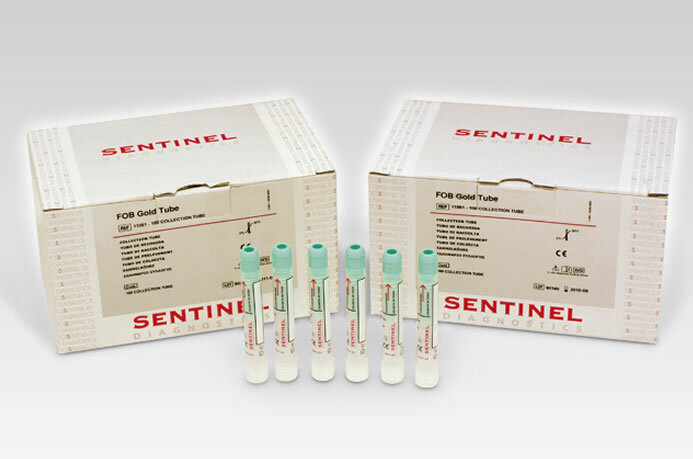 FOB Gold® Tube is ideal for both the patient and the laboratory. Printouts on A4 paper complete with patient details, results and immediate identification of pathological and borderline results. Results storage in internal database and bidirectional LIS connection to the lab. 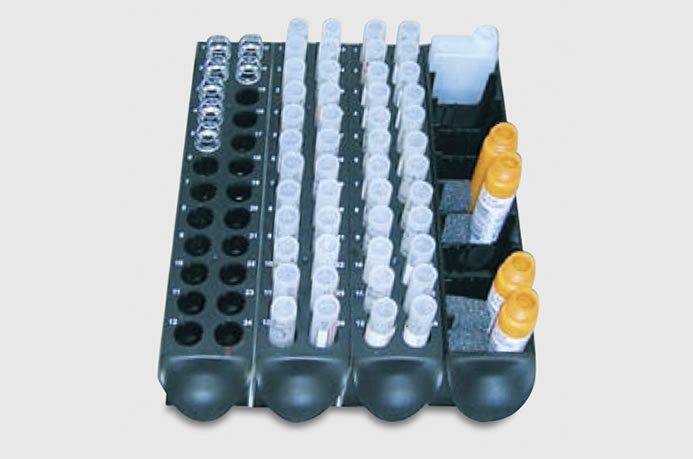 Flexibility up to 100 FOBT/h, 72 samples on board, multiple reagent loading, 120 disposable reaction cuvettes and a continuous loading function, which allows for the addition of samples, reagents, cuvettes or system fluid whilst in use.